Here is the Top Free MMORPG Games List 2013, with links and reviews. Which free-to-play MMO games are the best? Find the most popular and recommended f2p MMOs here. Neverwinter – a new MMORPG launched last June 20, 2013. Set in the classic Forgotten Worlds fantasy universe, Neverwinter has excellent large-scale quests, exciting PvP, player-created content, and, of course, the epic dungeons that D&D is justly famous for. This is one of the most popular new MMO games of 2013. Drakensang Online – here is something that is perfect for people who are in a rush or need an MMO for their laptop. Drakensang Online is playable right away on your browser with no client downloaded needed. It is a 3D fantasy MMORPG with the best next-gen graphics of any browser MMO today. Some of its top features are: fast-paced action combat, lots of quests, unique skills for each class, dungeons, PvP, and more. A must-try for those who are looking for a great browser MMORPG. Lord of the Rings Online – a big-budget 3D classic fantasy MMORPG that is surely one of the best free-to-play games of 2013. LOTRO’s Western-style graphics are very realistic and impressive which is a welcome change from many free MMO games that have a cartoony look. Gameplay is traditional but quite polished, with tons of content for free players, epic storylines, player housing, mounted combat, and large-scale PvP. Forsaken World – a 3D fantasy MMORPG with a difference, this game has beautiful graphics, incredibly fun character customization plus all the usual content such as pets, guilds, quests, events, etc. We particularly like the cool character types like vampires, werewolves and stonemen in addition to the usual humans, elves and dwarves. This f2p MMORPG has more of a dark fantasy or gothic feel to it. 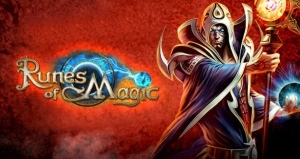 Runes of Magic – an extremely popular 3D MMORPG with over 5 million players. Runes of Magic offers comprehensive crafting systems, duel arenas, PvP battlefields, over 4,500 quests, player-owned houses, guilds, mounts, pets, huge instanced dungeons for up to 36 players, and a multi-class system that allows players to combine of the eight classes with additional secondary and tertiary classes. Dungeons & Dragons Online – a top quality 3D MMORPG that is great for social gamers because many of DDO’s quests and instances were designed for groups of players. However, solo players also have the option to partner up with Hirelings, non-player characters that can join the solo player’s party to help him or her adventure in the dangerous areas. Dungeons are instanced and tailored to each players’ level and skills. DDO never has “fetch 10 rat tails” quests – each quest has an interesting story and has different enemies, bosses, traps and puzzles. Allods Online – if you play MMORPGs then you have probably heard of this game. Allods Online is a charming mix of scifi and fantasy in which players can build a flying Astral battleship that they can use to hunt Astral demons, engage in ship-vs-ship battles, and explore floating islands full of treasure. Fans of user-generated content will enjoy Allods Online since players can create their own customizable dungeons that other players can plunder. Allods Online has tons of content including 34 classes, over 4,000 quests, pets, dungeons, faction vs faction PvP, global wars, etc. The game had one of the biggest development budgets for a free to play MMO so it has beautiful graphics and runs very smoothly. League of Legends – the most-played PC game of 2012. LoL is an incredibly addictive multiplayer online battle arena (MOBA) game. Gameplay consists of choosing a hero unit, joining a team, and fighting it out with other teams and their troops like in the popular Warcraft III mod Defense of the Ancients (DotA). World of Tanks – a massively multiplayer online (MMO) shooter game in which players control realistic World War 2 tanks. Gameplay consists of massive PvP tank battles which are fast and fun. How good is this game? Good enough to have over 60 million players worldwide. Although we don’t necessarily insist on top-of-the-line graphics, MMOs that have the best quality visuals clearly have an edge over the ones that are not as nice to look at. However, great graphics will only take you so far. The real reason people play MMOs is fun and addicting gameplay. Practically every MMO out there relies on its core “leveling up” mechanics to keep people coming back for more and most games are heavily combat-based. So strong and diverse PvE and PvP content is an absolute must. Many players log in for several hours a day simply to make their characters stronger and since this is generally done through combat, this means that combat has to be enjoyable. On the other hand, it’s also good to have some additional content so that players can do something when they want to take a break from fighting. That’s where skills like fishing, mining, gathering herbs, etc. come in. A crafting or profession system in which players can make valuable equipment or potions can add a lot to the MMORPG experience. Part of the fun of playing a new MMORPG is exploring a virtual world. That’s why the top games have huge, majestic-looking scenery. Plus points if the world is also seamless (no loading screens) which makes for a smoother, more immersive play. The social aspect of the game should not be ignored. These days some MMOs have player-run economies which add another layer of complexity to gameplay. Player-run simply means that prices and availability of good rely on player actions. For example, instead of an in-store game that sells materials, many games nowadays require raw materials to be mined, fished, harvested, etc. from various locations in the game. These raw materials can then be crafted by players into items such as weapons, armor, potions, food and so forth. Thus, instead of just buying stuff in a store, players must trade with other players to get items. An example of a game with an in-depth economy and trading system is Uncharted Waters Online. Admittedly, MMORPG players are somewhat notorious for never reading quest text, so why bother with writing a great story-based quest when practically no one ever reads it? But while many players don’t exactly pay much attention to stories, that doesn’t mean that they are okay with misspelled text, unfunny jokes, or stories that make no sense and go nowhere. Story might not be an essential part of the MMO experience but you can bet that players will definitely notice if quests or missions are too lame to bother with. The real key to MMO game’s success is player retention. Often a game starts off with a lot of hype and attracts lots of players when it launches but then six months later the servers are deserted. One of the ways to increase retention is to give players a little piece of their own such as a house (or town, farm, ship, etc.) that they can customize and show off to other players. A nice plus is a game mechanic that allows players to make their own content such as making their own stories and characters. To give a solid example of what we mean, check out Star Trek Online’s The Foundry which lets players make their own missions and stories that they can share with the community. Lastly, people will keep playing an online game if its community is friendly and passionate. This is not really a feature that game developers can control, especially in a free-to-play title but its definitely a very good thing if there are community events and content that requires group cooperation that helps build camaraderie among the participants. Can you think of any other features you would like to see in your dream MMO? Thanks for reading. Please leave a comment below if you have anything to say but keep it polite. I dont know about the rest of you… But the most important parts of an mmo to me is veriety and customability. I like lots of different races and classes and spells and pets and lots of ways to be different than the masses but still effective. Nothing makes me made like one class only able to use 1 weapon and there is only 1 weapon that is “best” and if you dont have that best weapon for your class/level youre not good. I would like my animal companions to be trainable. For instance, if I have a wardog, I want him to follow commands like stay, come and attack. I don’t want them to race ahead of me and attack when I am trying to sneak up and reconnoiter or am trying for a sneak attack. It would also be fun to be able to use the dog to track and retrieve. My riding animal also should be easy to fight from the back of, and should also be able to fight on command. But I don’t want it to rear up and strike at an opponent that I am trying to run through with my sword. The animals need to be a help, not a hindrance. Also, when you are in combat with a follower, why does the follower always step on traps or between me and my target? Why can’t they follow simple orders? Loved that about Star Wars Galaxies. I miss all the individuality of that game and the community as well. I used to play Runescape…But sadly, they have changed the game so much, starting with “Evolution of Combat” to where it has gone to now. It’s no longer enjoyable, not even “Skilling”. All the games you mentioned, seem to be combat orientated. Can you or your readers suggest a laid-back MMORPG? I don’t mind killing an occasional Ogre, Troll or Dragon. I like doing a few Quests…But really enjoy leveling in Non-Combat Skills. I don’t care for the juvenile graphics on some games. Rather more along the line of Guild 2 and such. 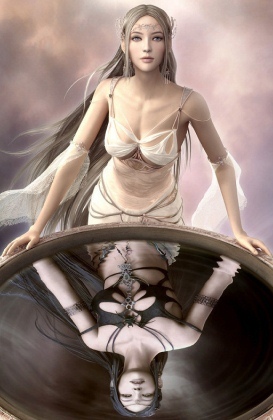 I am new to mmorpgs in general but I have noticed a trend in how they r developed. If u want to get a mass of gamers and keep them with addicted gameplay then there needs to be an active combat system, not just spamming buttons, great storyline, and tons and tons of variety so that everyone is not looking like and fighting like everyone else. It’s nice to feel like u have invested time in making a unique character. I don’t even know how I ended up here, but I thought this post was good. ArcheAge gets my vote though.